In this video, Scott Travers, gold and rare coin expert and author of The Insider’s Guide to US Coin Values, discusses the importance of a lesser-known precious metal—rhodium. Rhodium is a critically important metal—it is used in every automobile’s catalytic converter as well as in the production of white gold. There are only two locations in the world where rhodium is mined—South Africa and Russia. 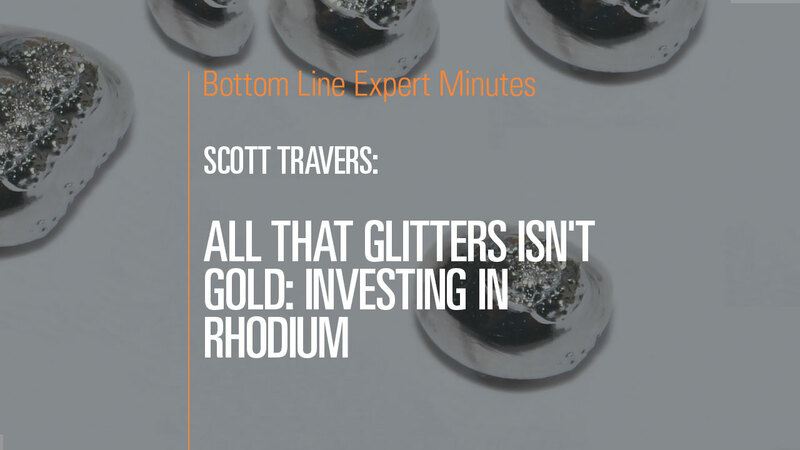 So, according to Mr. Travers, rhodium is a great investment opportunity. It is easy to include in your portfolio…is set to soar in value…and will help create a strategic rhodium reserve that could prove invaluable to the US in the near future.